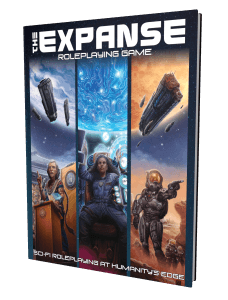 So, if you haven’t heard, on Monday, Green Ronin launched a Kickstarter for the new The Expanse Roleplaying Game using the Adventure Game Engine, and by “launched” we mean in true Expanse fashion, involving some massive acceleration and heavy Gs! 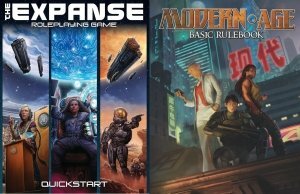 The Kickstarter funded fully within the first hour, hit over 300% funding within ten hours, and is still going strong! The Expanse, of course, is the hugely popular series of science fiction novels by James S.A. Corey, brought to television by SyFy. 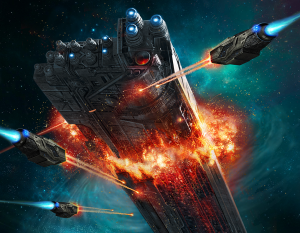 In fact, the series is so popular that when SyFy decided to stop producing The Expanse series, the online #SaveTheExpanse campaign helped to convince Amazon Prime Video to pick it up and begin producing a fourth season. 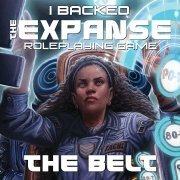 Green Ronin Publishing has a license with The Expanse creators (James S.A. Corey is the pen-name of Daniel Abraham and Ty Franck) to publish a tabletop roleplaying game based on the books. 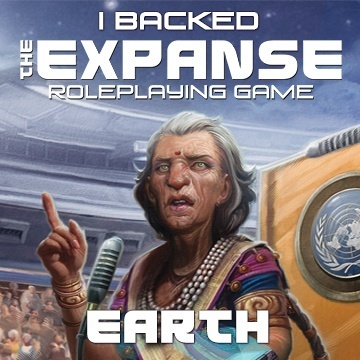 This is familiar territory for the authors, since The Expanse started out as a concept for a massive multiplayer video game, and was used as a setting for a roleplaying campaign before the novels were written. Now it has come full-circle back to its RPG roots. 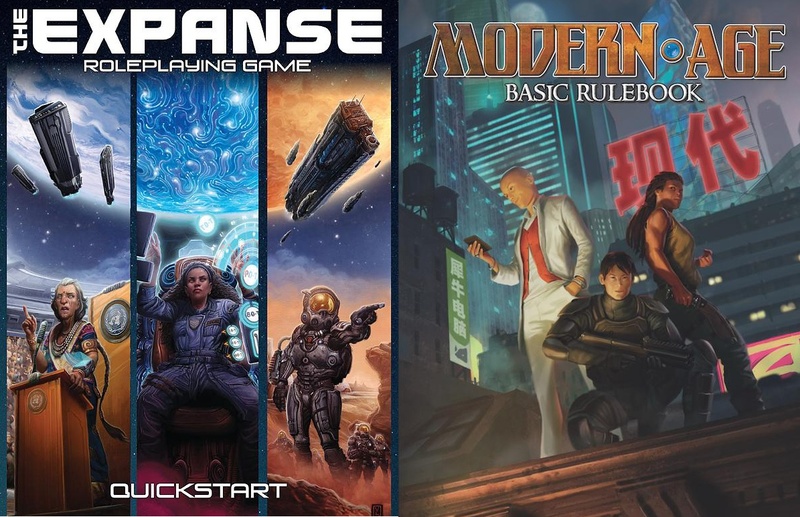 You can find lots more information about the forthcoming Expanse Roleplaying Game at the Kickstarter page, and you can also download The Expanse Quickstart: A complete set of scaled-down rules, pre-generated characters, and an initial adventure to get you playing in the universe of The Expanse right away. It’s a great opportunity to “test-drive” the game before you decide to back it. To those who have already backed this project on Kickstarter…thank you! Everyone at Green Ronin is blown away by your show of support and your interest in the game, and we’re excited about taking the opportunity to come up with even more stretch goals to make The Expanse RPG the very best that it can be and to reward you for the confidence you have shown in us. 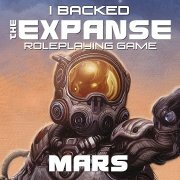 In the meanwhile, if you want to show your support and help to spread the word, we’ve come up with these backer badges. 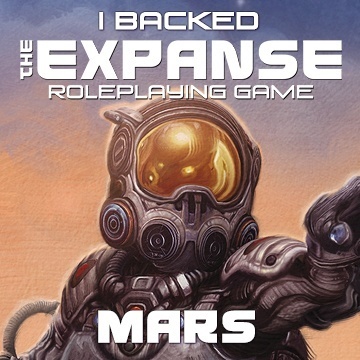 Choose the faction you most identify with: Earth, Mars, or the Belt, change your various profile pictures to show your support for the project, and hold on for some more juice as The Expanse Roleplaying Game Kickstarter continues to accelerate! This ride has just begun and there are a lot of adventures awaiting us. https://greenronin.com/wp-content/uploads/2018/07/Expanse_Countdown_FUNDED.png 1800 1800 Steve Kenson //greenronin.com/wp-content/uploads/2017/07/RoninBanner-1.png Steve Kenson2018-07-24 10:14:052018-07-24 11:43:12The Expanse Roleplaying Game Kickstarter: Here Comes the Juice!